This tutorial is going to be split into 4 sections. 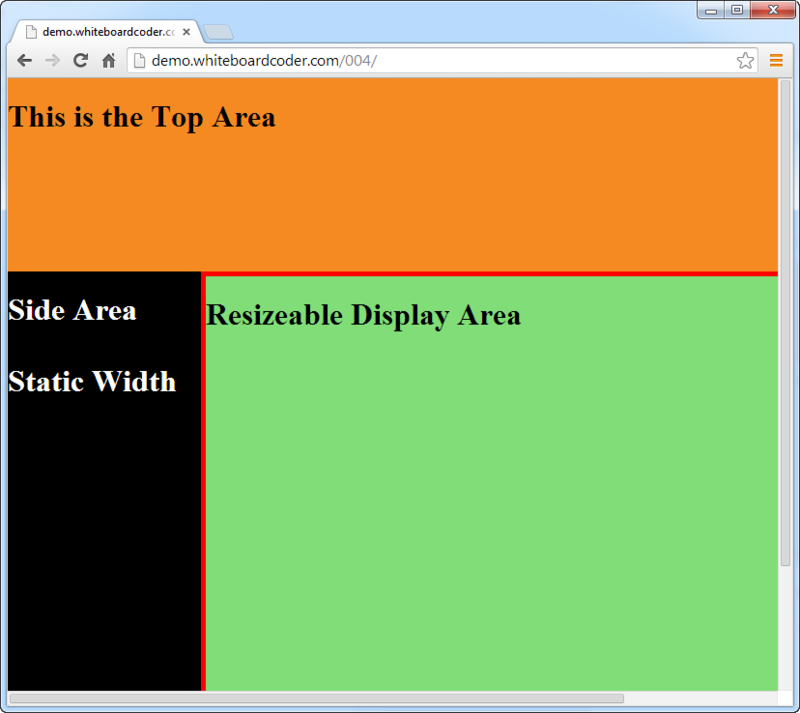 The goal of this tutorial is to create a simple web site that has a top bar with a static Height, a left tool bar with a static width, and a variable "display area" which will take up the rest of the space. 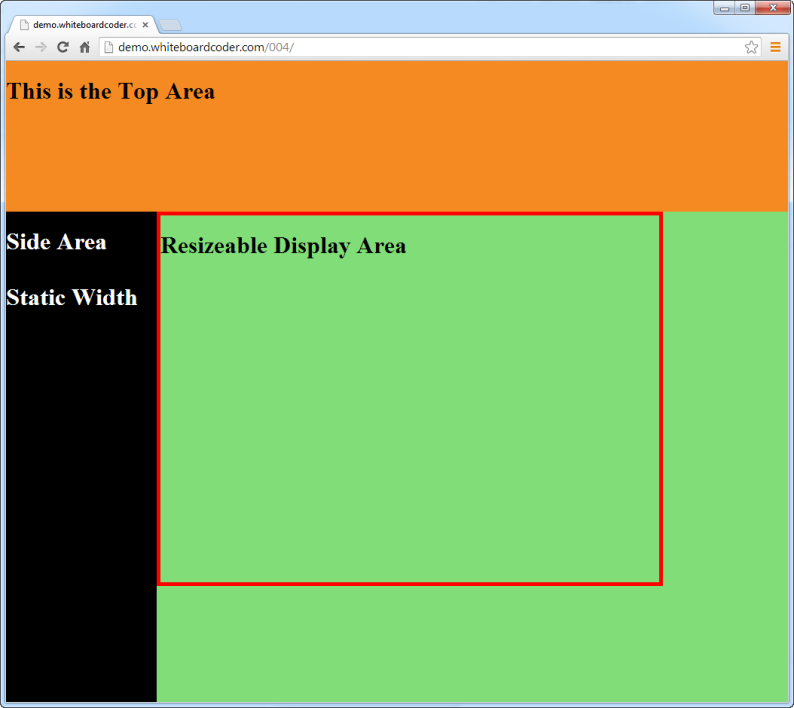 Of resizing on a window resize was not yet solved. 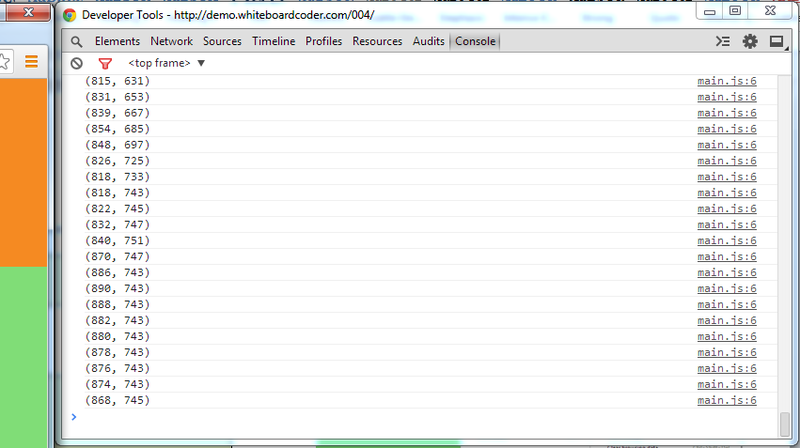 console.log("(" + $(window).width() + ", "
Here you can see the information scrolling by as you resize the window. The resize event kicks off rather quickly. In fact it kicks off too much. The resize of the element sizes does not need to occur every millisecond but rather every 250 or 500 milliseconds is more than fast enough and reduces CPU usage. This will run the setSizes function 250 milliseconds after the last resize event occurs. In the case of IE you see the gap on both sides. To better see what is going on up the timeout to 5000 (5 seconds) and change the size of the window. When you shrink the window you will see the scroll bars appear. 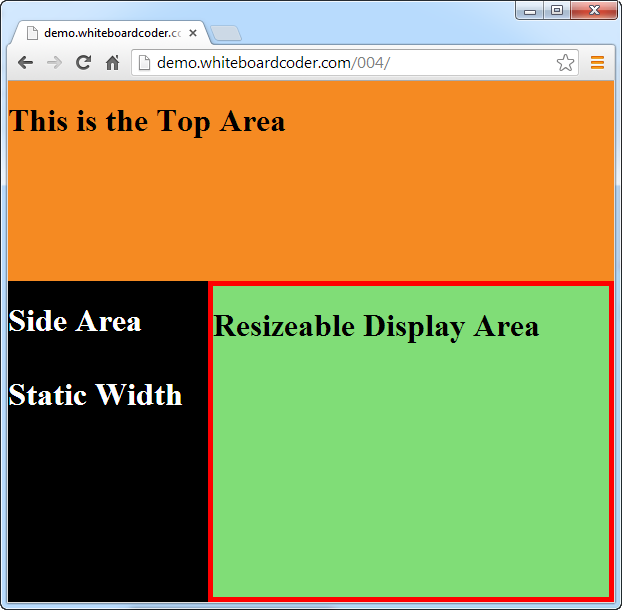 These effectively reduce the $(window).height() and $(window).width(). As a result the setSizes function makes the div fit within the scroll bars, which makes the scroll bars unnecessary and then they are removed leaving your div a little too small. So…. What is a good way to fix this problem? 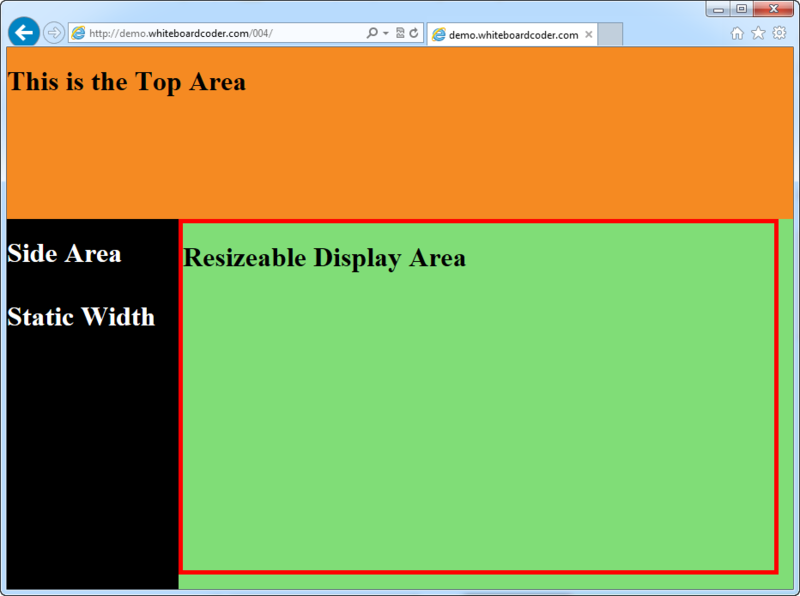 One way is to run setSizes twice if the browser window has been reduced (either its width or height). 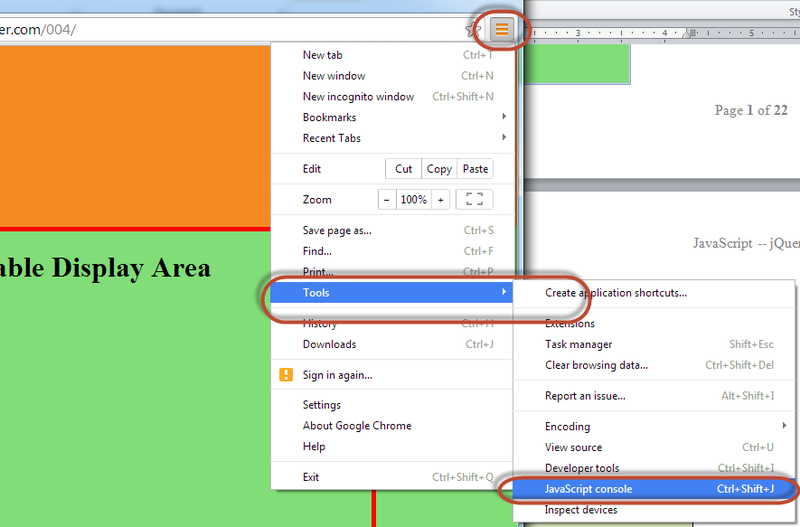 A better way is just to remove the scroll bars temporarily while you resize. Now reload the page and resize it. You can see that this works just fine, however before you choose to use the calc CSS tool you should see how cross-browser friendly it is. The debounce function makes code look a lot cleaner. 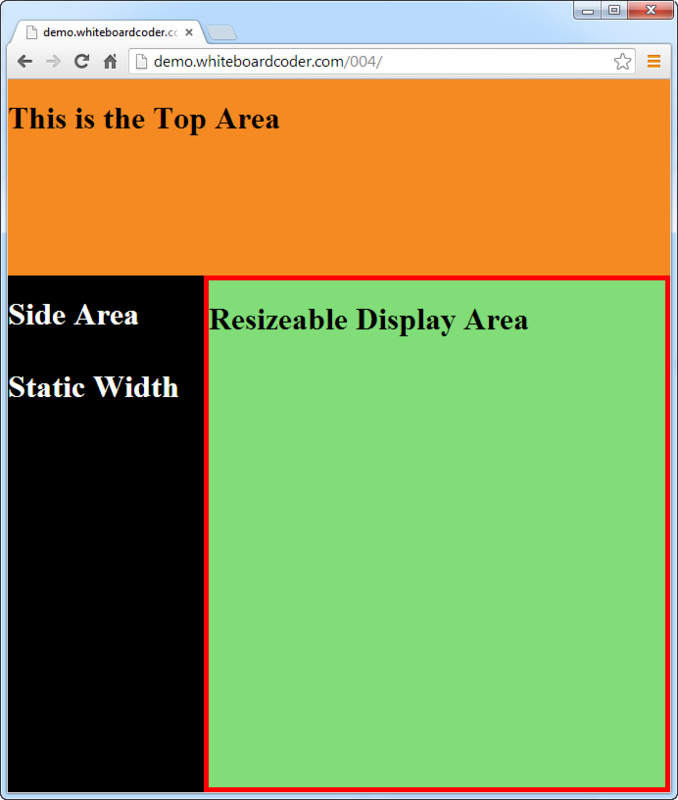 The resizable area is done and working, the next tutorial will go over using JQuery load function to add clickable buttons that will upload information to a div asynchronously. 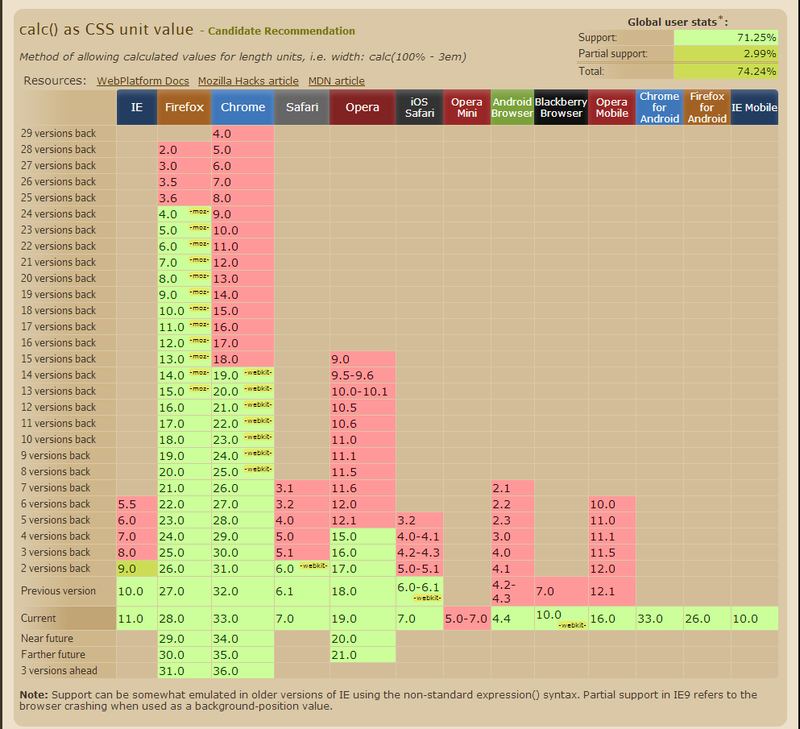 Can I use calc() as CSS unit value?